The City of Maysville’s legislative body is the Board of Commissioners, which consists of Mayor Charles Cotterill, and Commissioners Victor McKay, Jeff Brammer, Kelly Ashley, and Andrew Wood. The Board of Commissioners meets on the second Thursday, of each month at 5:15 p.m., at Maysville Municipal Building, 216 Bridge Street, Maysville, KY 41056. Charles T. Cotterill was elected Mayor of Maysville in 2018 promising more accountability and transparency in local government, increased focus on economic development and help to those in the community most in need through improving household income. Attributes Charles brings to the position include business assemsement and evaluation, communication skills, especially listening, problem solving, strong work ethic, and respectful to all. Charles retired in 2002 after working for the Kentucky Department of Corrections and Justice Cabinet as a probation and parole officer for 26 years. He currently runs Cotterill’s Antiques — a small business in downtown Maysville — and is both a licensed Kentucky auctioneer and real estate broker. Charles is highly knowledgeable about art glass, local stoneware, and Early American furniture among other historic items. He has used this knowledge base to assist the Kentucky Gateway Museum over the years with charity auctions and artifact acquisitions. He also lends his expertise to various business and civic organizations. Charles worked for Breslin Oil Company while attending St. Patrick High School and Maysville Community College. Upon finishing his Associates Degree at MCC, Charles went on to the University of Kentucky where he earned his Backelor’s Degree with a focus in History and Political Science. Charles and his wife Debra have been married 42 years. They have two daughters and three grandchildren. Is the fifth of nine sons born to Jane S. McKay and the late Patrick McKay, Jr. His brothers include Mike, Leo, Joe, Dennis, Danny, Gerald, Bernard, and the late Pat McKay, IV. He is married to the former Mary A. Gallenstein, and they have three children, Chad, Patrick Dylan, and Caroline. Victor is emloyed as a workforce development speicalist with the Office of Employement and Training located in the Kentucky Career Center. He earned both his Master’s and Bachelor’s degrees from Morehead State University, and is a graduate of Maysville Community College and St. Patrick High School. He was elected to Maysville City Commission first in 2002, again in 2004, and in 2012. 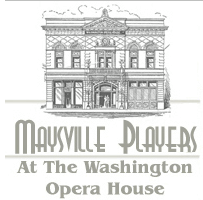 He served as vice-mayor, and as vice-president of Maysville Public Building Corporation 2002-06. In his early professional career, he covered local government for the local newspaper and served as the executive director of the Maysvile-Mason County Tourism Commission from 1990-93. Victor serves as Mayor Pro Tem and on the I.N. Foster Fund Committee. Kelly has served on the Board of Commissioners since 2007. He is a graduate of St. Patrick School and Eastern Kentucky University. He is a real estate broker. He is married to retired special education teacher Sandy Ashley. Their son Flynn Ashley is a senior at Northern Kentucky University. Kelly serves on the Joint City/County Ambulance Board. Former City of Maysville assistant fire chief, Jeff Brammer, was appointed to fill the unexpired term of Jerry Schumacher in October of 2018 and elected to his first full term in November. I married to Beth Wood. We have four children. Andrew Wood is a 1985 graduate of Mason County High School. He attended Maysville Community College and University of Kentucky before graduating from Miami University in 1990 with degrees in Finance and General Business. He is a 1993 graduate of Chase College of Law at Northern Kentucky University and has been practicing law in Maysville since 1993 — first with Fox, Wood & Wood and then with Wood, Wood & Young. Since returning from college, he has been active in the community. He has served on the Main Street Board, as chairman of the Maysville-Mason County Arts Commission for five years, and on the Camp Discovery Committee since its inception. He has also regularly taken a leadership roles in the Presbyterian church. He and his wife Beth have four children.